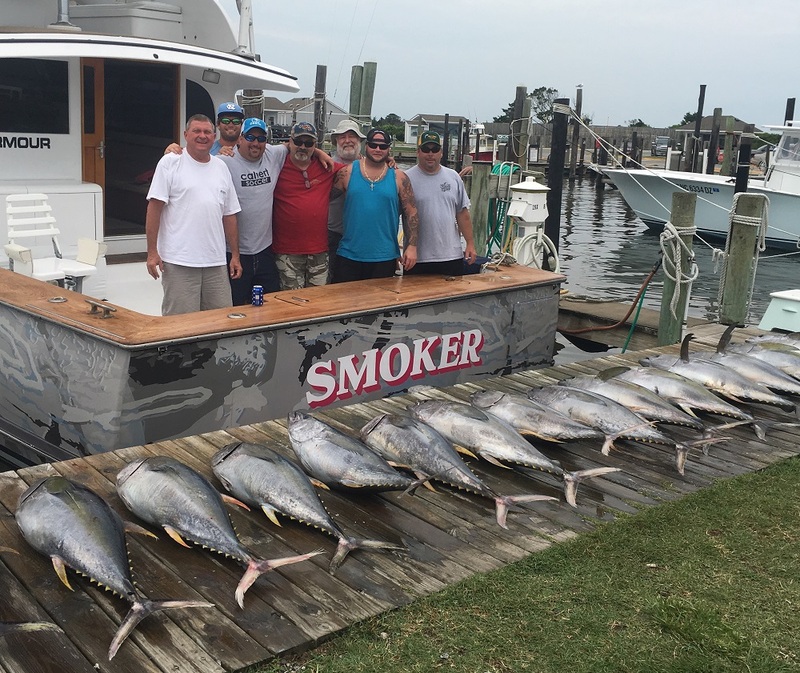 The Smoker starts the fishing season off of the Outer Banks in early April which is when the Yellowfin tuna and a few scattered Bluefin tuna start to show up. Around May, we start to see the weather improving which spikes the activity for not only Tuna but Dolphin as well. 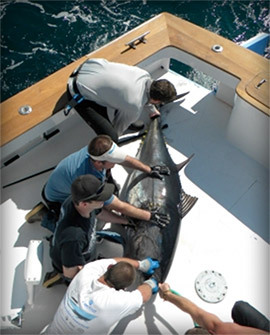 The peak summer months of June through September allow you to land your own Catch of the Day as a variety of fish are caught including tuna, dolphin, wahoo and marlin. As the cold water fishing picks up again beginning around October and running through December we are back in the fighting chair battling the good ole' yellowfin tuna again. Colder months such as January and February doesn't slow us down, we begin catching a good run of striped bass inshore and again the yellowfin tuna offshore. As you can see Smoker Sportfishing doesn't stop much. 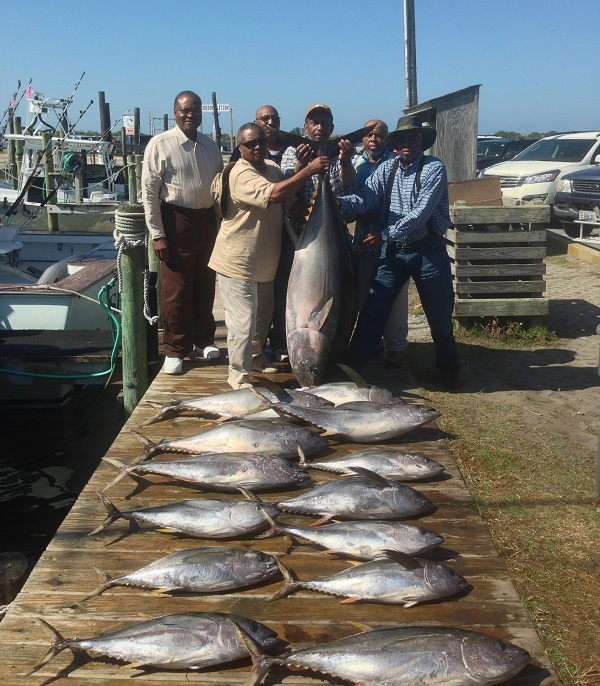 The Outer Banks of North Carolina offers some of the world's best fishing grounds and with the Gulf Stream being so close we will have you on top of the fish and filling the cooler in no time. 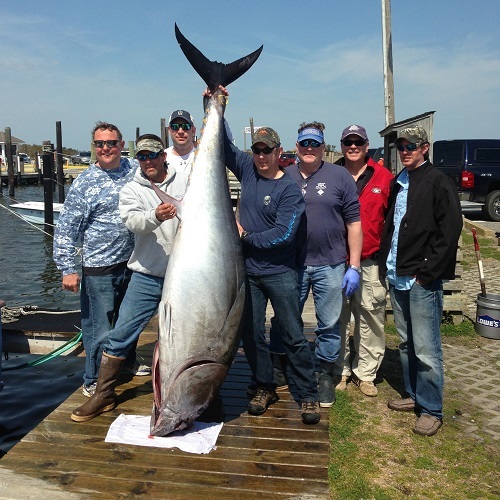 Check out our fishing reports to see the latest catch and what has been going on in the Atlantic Sportfishing scene! In 2005, Smoker was fitted with an updated Interior as well. Smoker's salon offers all the comforts of home including two air conditioning systems for those hot summer days, TV with DVD & VCR player, Stereo, and microwave. The Smoker has three fighting chairs in her cockpit and a tackle locker that boasts spinning rods, stand up gear, bailing rods, and heavy 80-130 class rods and reels. Smoker has also landed 2 world records on fly and has wrangled plenty of Sailfish, White Marlin and Tuna on light tackle. When we say light tackle, we mean light. White Marlin & Sailfish have been caught on this boat with only 6 & 8 lbs test! Don't be! Captain Brynner started fishing in Ocean City Maryland at the age of 12 years old on a boat called the Calypso and he has been fishing the waters off the Outer Banks for the last 28 years. 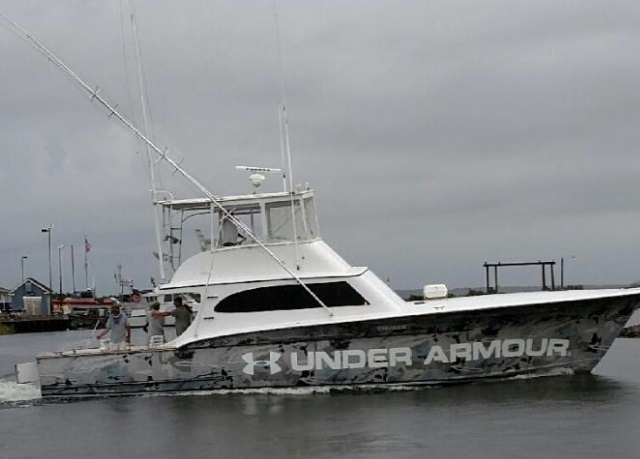 Smoker has traveled to waters in the Bahamas and Mexico and competed in some of the most prestigious Fishing Tournaments including the Hatteras Marlin Tournament and the Pirates Cove Bill Fish tournament and has placed and won in other leading competitions up and down the east coast.